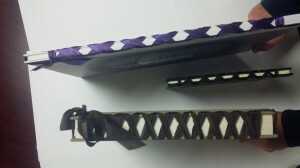 Japanese ribbon binding is an artistic binding style that uses an intricately laced ribbon to bind loose leafs together. 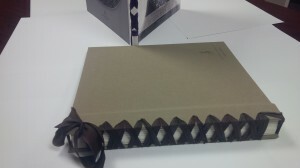 Twine is also sometimes used in place of ribbon. 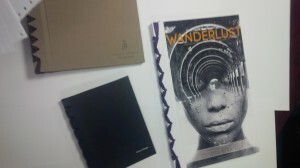 Both create a nice, homemade look that gives the project you’re working on a very personal feel. 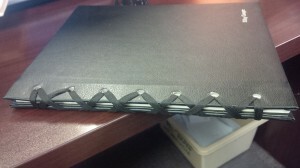 Check out some photos of Japanese ribbon binding projects we’ve done below. Versatile, can use this style for many different books. © 2019 Advantage Book Binding, Inc.